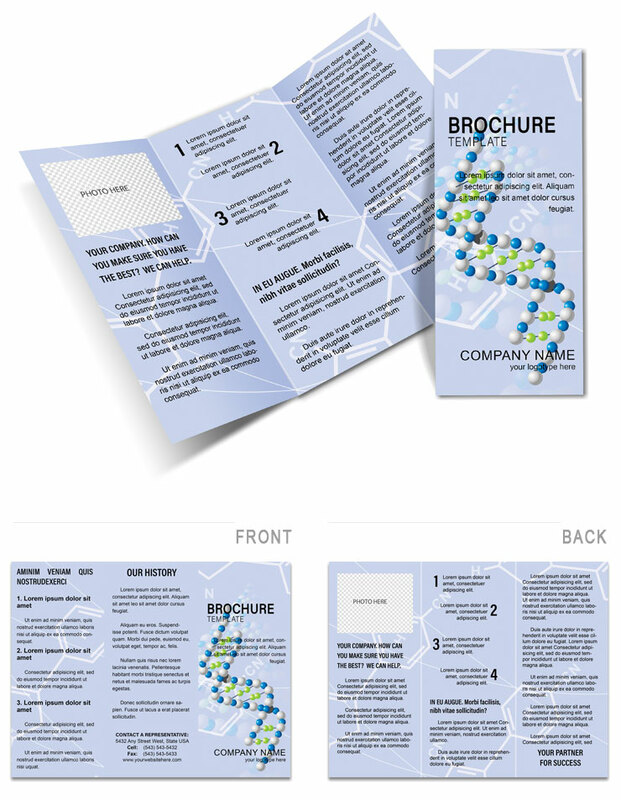 Structure Platinated DNA Brochure Template indicates the study of DNA - the carrier of heredity. All of the studies in this area, irrefutable evidence that DNA is the substance from which genes are constructed. This brochure by topics belongs to scientists, researchers, etc.